Last December the New Directions were pretty much pulse-free as they sang "Do They Know It’s Christmas?" – a song about homeless, hungry and disadvantaged people – at a shelter full of homeless, hungry and disadvantaged people. Talk about bringing down the room. After a string of duds, from those nearly-forgotten purple pianos to Rory’s pot of gold and that whole squirm-inducing relationship between Shelby and Puck (please, please bring Zizes back! ), Glee ended the first half of season three in full on hallucination mode, wedging the kids into a 50-year-old black and white Christmas special that morphed Judy Garland into Chewbacca. It was fun, but my stars, who laced the eggnog? To be sure, in season 3.1 there were bright spots. The whole soon-to-be-a-Peabody-winner West Side Story performance episode was beautifully structured, performed and filmed. Mike Chang’s breakthrough episode "Asian F" featured wonderful acting and dancing. And there were all those scenes of Brittany and Santana’s blossoming love as Santana grew more comfortable with herself in a genuinely touching and heartbreaking coming out story arc. That’s why it is promising to read Glee spoilers and surmise that change is in the air. On an aging series, change can be a very good thing. All those TV history lessons I learned in high school showed me how a TV show can get a second wind through sometimes radical changes to storylines and actors. Glee’s mega-successful launch of Darren Criss’ Blaine Anderson in season two seems to have encouraged producers to populate the show with a number of new castmates – and to explore existing minor characters in greater depth. Producers favorably altered the series by expanding Santana and Mike Chang's story arcs and turning them into very popular, even essential, characters. Though this season’s major new character introductions – Rory and Sebastian – have met with mixed results, Rory stayed on for more shows than expected. And rumor has it that Sebastian, the first truly dangerous villain since Sue Sylvester, will return next year. My suggestion to Glee producers is to take a more radical step that could make the show last a long, long time: kill off a character. And not just any character. Kill off the lead. 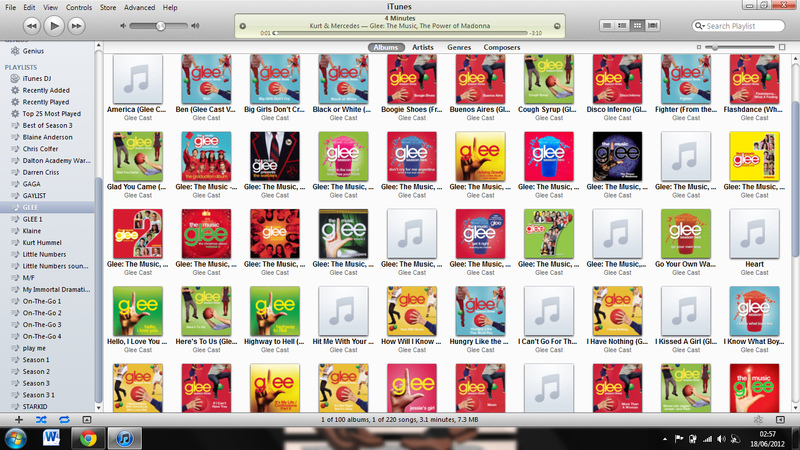 Say goodbye, Will Schuester. Oh, I’ll miss him, but only for as long as it takes to hire his replacement. After being so central to Season One, Matthew Morrison surely can't be happy that his character's storylines have mostly been relegated to the back burner. Ex-wife Terri has disappeared, his relationship with Emma seems in permanent OCD stall. Now he functions more as a plot device than anything. What tenuous musical "theme" has Mr. Schue forced down everyone's throats this week? Morrison is a talented singer and dancer. He's also very easy on they eyes. But somehow, whenever you see Mr. Schue performing a number you think, "Hey teach, stop hogging the limelight! Let your students be the stars." So let Matthew Morrison get back to Broadway-- or give him his own Showtime series. And kill off Will Schuester! Other shows have killed off lead characters: just this year, Game of Thrones executed its star. A top-tier character was rubbed out on Boardwalk Empire. Heck, NYPD Blue replaced its lead almost every year. And if outright killing Mr. Schuester gives you the willies, just send him far far away. Maybe he reunites with ex-wife Terri in another town. Or joins April Rhodes on Broadway. Anything to get him out of Lima, Ohio. And when it comes time to replace Schuester, replace him with somebody who won't be competing with the students for musical numbers. Someone with personality, a crotchety uncle or aunt type who can stand up to those kids and make them take a little responsibility for their lives. Someone who can push Figgins to act. Sue Sylvester could use a real threat, someone who can scare the bejeebers out of her. A new glee club director and Spanish teacher would fit that bill. Kill Will. For the good of the show. And hey, it pretty much eliminates any chance they’ll bring back Acafellas!